Want your carpet REALLY REALLY clean? Call us. DKB uses Rotovac on the right. Others use the system on the left. We guarantee your satisfaction. We will continue working and will not leave until you are satisfied. Why do we do this? Because we care about you and we are passionate about what we do.... and we're really good at it! Top notch professional company for carpet cleaning in the Olympia, Lacey, Tumwater areas. No longer must you replace your carpet and upholstery when it gets to that awful state. Now with our system it is possible to restore your textiles and they will look like new. 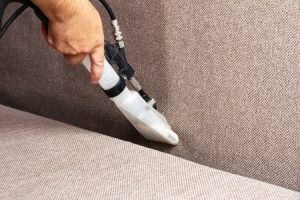 By the time your carpet or upholstery looks dirty there are multiple layers of stains, mineral deposits and bacteria that have built up into a mess that cannot be cleaned by anyone other than an experienced carpet cleaning professional like DKB Restoration. 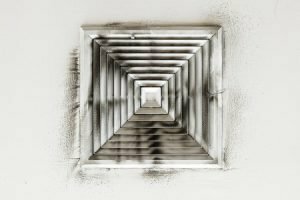 If you are looking for a top notch professional company for carpet cleaning, air duct cleaning, upholstery cleaning or dryer vent cleaning in Olympia then your search ends here. Have Carpet Stains? We can help! 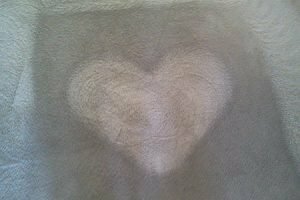 Check out the ugly hot chocolate stain on this light carpet -- slide the arrows to see the before and after! DKB uses the Rotovac Carpet Cleaning system to get your carpets cleaner then other carpet cleaners who use the old wand method. See more about the Rotovac system here. Review our handy spot removal guide or give us a call if you are unsure! $1-2 areas $129 - 3 areas $159 - 4 areas $189 - 5th area FREE! 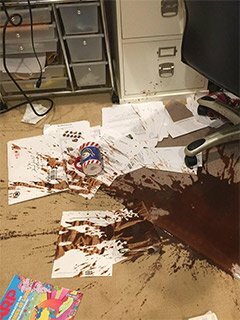 Major stain work or odor removal is additional. We are an honest, local, family owned and veteran owned business. 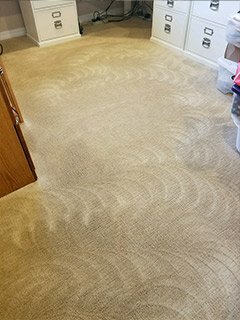 We take pride in our ability to bring your carpet back to life. We employ Honest, Well Trained Cleaners who are passionate about cleaning! We guarantee your satisfaction. We will continue working and will not leave until you are satisfied. Click more to read about our guarantee. Utilizing Top Grade, state-of-the-art Rotovac Carpet Cleaning Equipment! Click More to see.